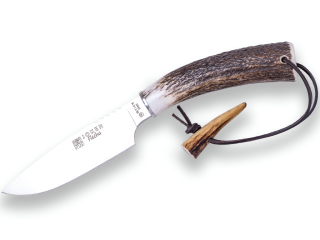 CUCHILLO DE CAZA CON PUÑO DE ASTA DE CIERVO Y HOJA DE 17 CM. 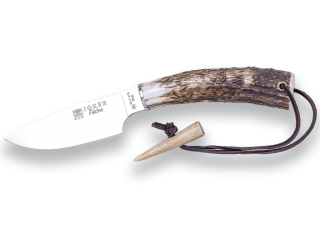 CUCHILLO DE MONTE CON CACHAS DE OLIVO VIROLA Y HOJA DE 10 CM. 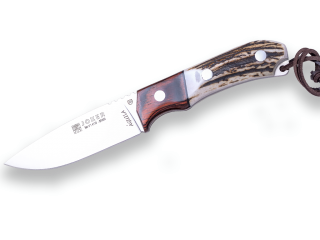 CUCHILLO MONTERO CON CACHAS DE MADERA ROJA PRENSADA Y HOJA DE 10 CM. 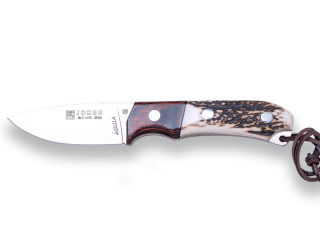 CUCHILLO DE CAZA CON PUÑO DE ASTA DE CIERVO Y HOJA DE 14,5 CM.